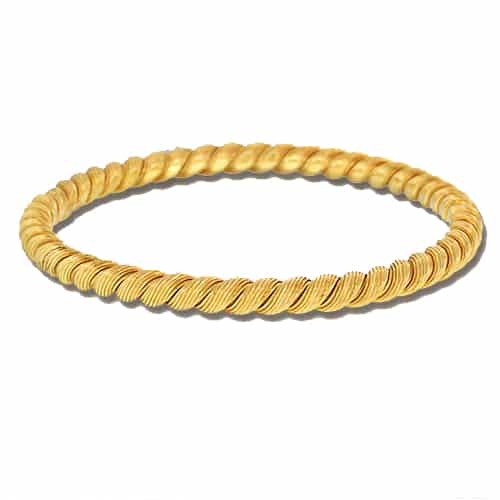 Bangles are a rigid bracelet style, typically in an oval or round shape, which completely encircle the wrist. They are either slipped over the hand or put on using a hinged opening mechanism. In some cultures, they are carved from a single piece of gem material such as jadeite or are crafted in precious metal and slipped over the hand in childhood to remain there for a lifetime. 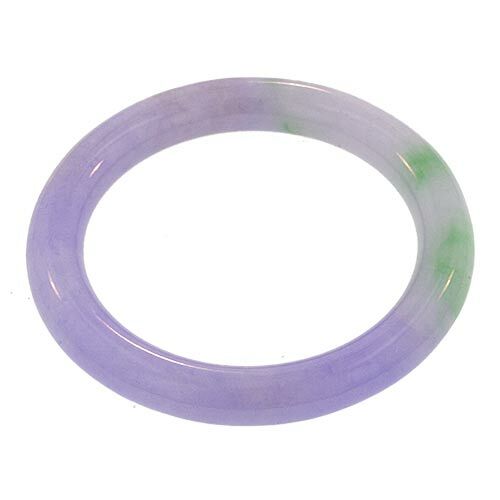 Bangles can be worn singly or in combinations of two or more. 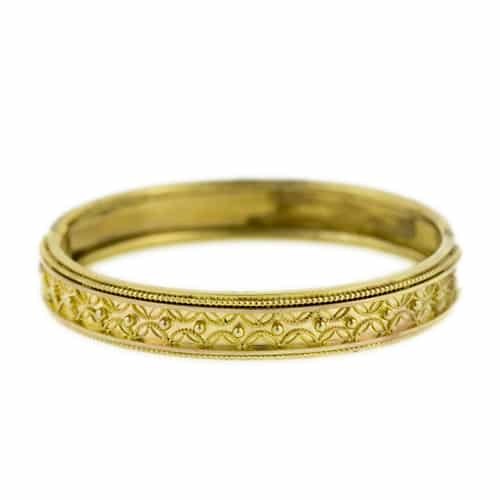 Historically, bangles appear in almost every civilization since the Iron Age.